Is making a lasting impression on your audience at an upcoming tradeshow, conference or large event a goal for your organization? Are you taking the proper steps to distinguish your brand from the rest? Are you considering offering unique and trendy promotional products to create lasting brand recognition? We can help. 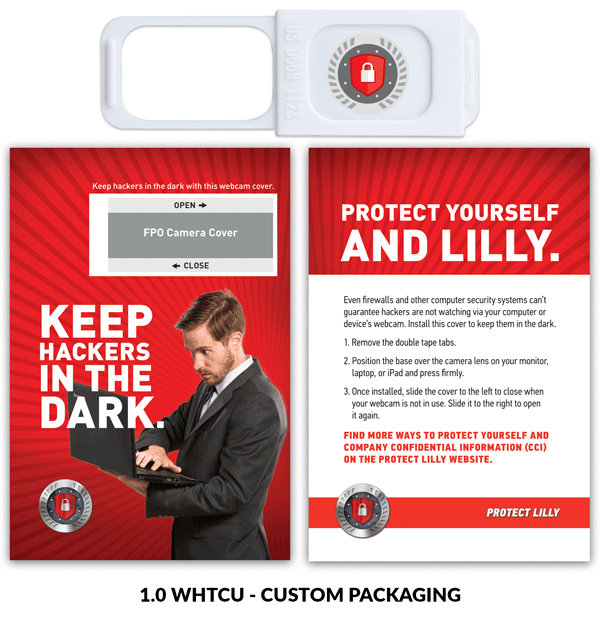 Create excitement for your booth with unique, fun products to drive traffic to your booth through word of mouth. While it is always important to remain budget conscious, companies are increasing their promotional products budget to attract more visitors to their booth. Consumers are more apt to visit a booth that is handing out a higher quality promotional item, especially if they find the product useful. If budget is an issue, consider selecting a smaller amount of “high-end” products to hand out to individuals you deem as true prospects, and have “lower-cost” products for the general masses. We compiled our top 5 trendy tradeshow promotional products for 2018. 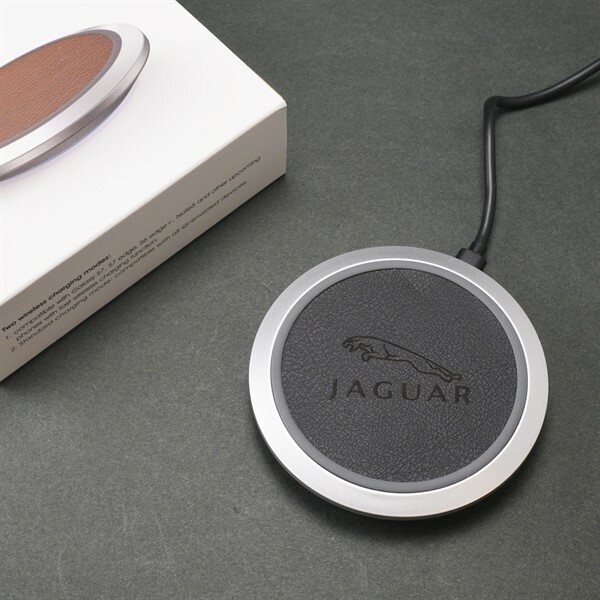 Keep up with emerging tech and showcase your brand with this Qi Wireless Charging Pad. Featuring a one of a kind classic design, with polish metal trim and customizable PU leather charging surface. Simply place your Qi enabled phone on top to charge and built in LED light will illuminate to indicate charge in progress. Qi Standard listed and CE & FCC certified. Each comes with retail packaging. It seems everyone is looking for a little power these days! 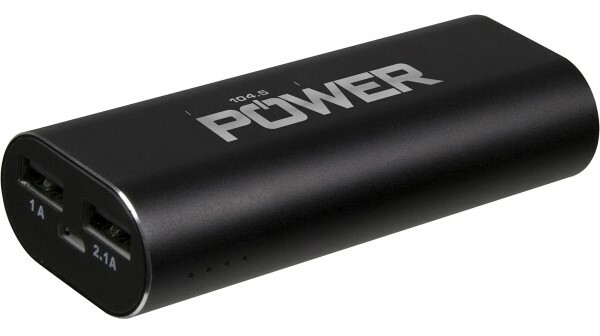 Keep your audience charged up with a branded power bank. Branded power banks have a broad range of price options and styles that are sure to fit your price point and align with your marketing strategy. Pop sockets are a new trendy device that goes on the back of your smart phone. This useful little product provides a better grip when holding your phone to take pictures or text. The kickstand allows the phone to stand upright when watching videos or chatting online. 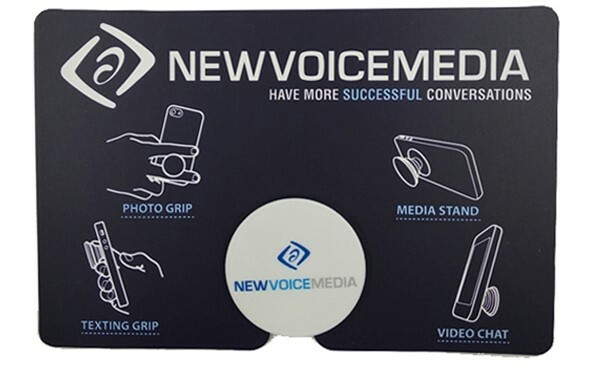 Add your brand to a pop socket and become the “talk of the tradeshow”. With the recent news about our dirty phones, microfiber cloths can be used to keep phones clean by removing oily fingerprints and smudges. 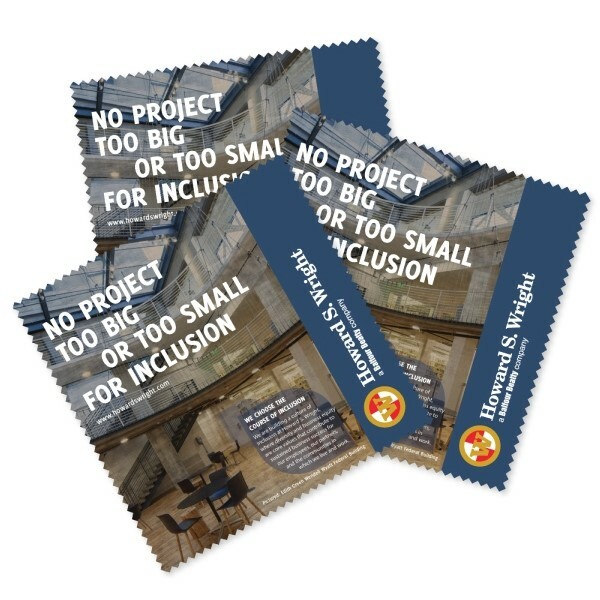 Not only will they keep devices clean, providing custom branded microfiber cloths will communicate to your audience that you are a company that cares. Web Cam Covers provide high impressions while also providing privacy protection. Webcam Cover fits the following devices: computer’s, laptops, Smart TV’s, monitors and some external webcams.